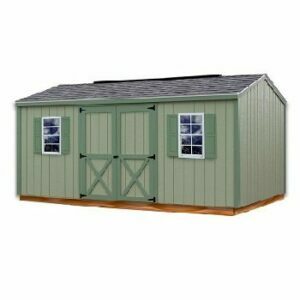 This Cypress outdoor Shed Kit’s gable roof design fits perfectly with styles of today’s homes. 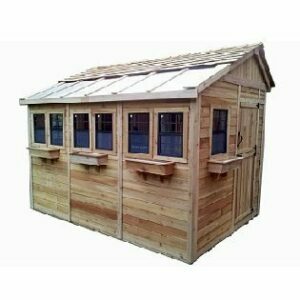 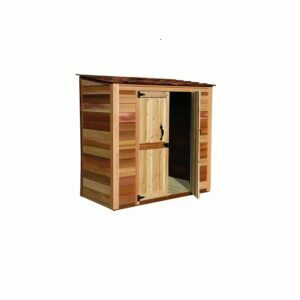 With its 6′-4″ high side walls this shed kit provides maximum storage in a small area. 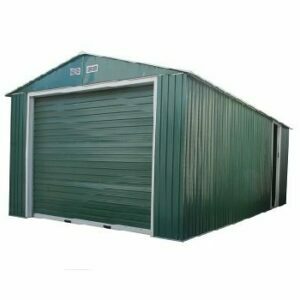 With the large 5′-4″ wide x 6′ high doors you can easily store your riding lawn mower or 4-wheeler. 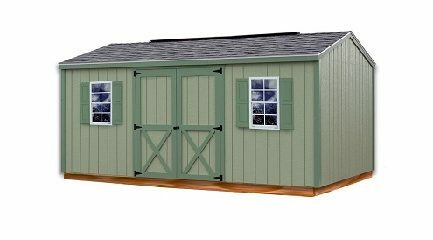 Doors can be placed left or right of center or centered to the long side wall. 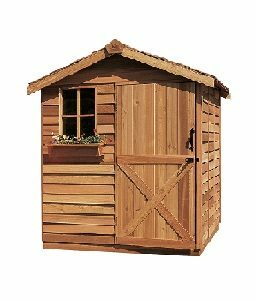 If you are need a well built wood storage shed at an economical price the Cypress from Best Barns is the perfect solution.